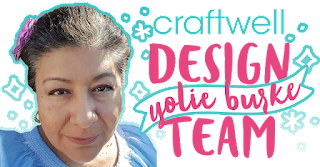 Hello and welcome, this is Yolie with Team eBrush with a super quick Halloween card. 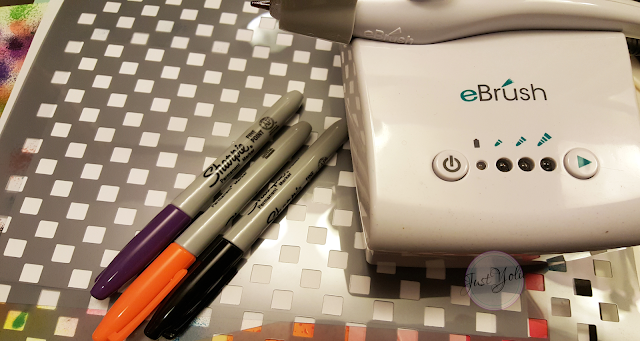 I used a checkered stencil and Sharpies with the eBrush to white card stock. I set the e Brush to the 2nd setting, alternating colors. My Halloween tote is front and center in my craftroom. I went through my stash and found a pack of chipboard. 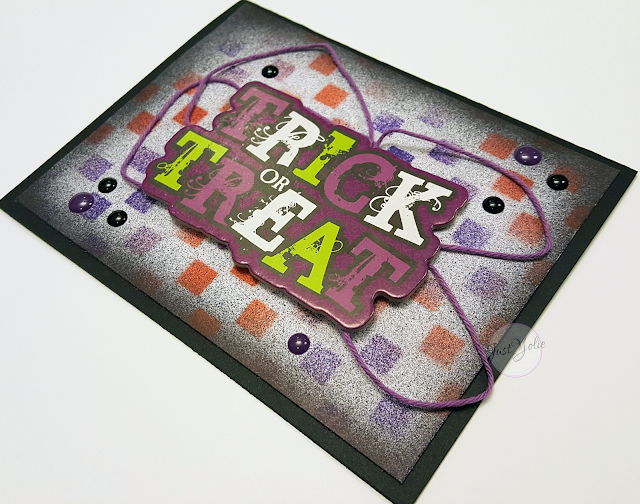 I added the "trick or treat" and added purple twine. 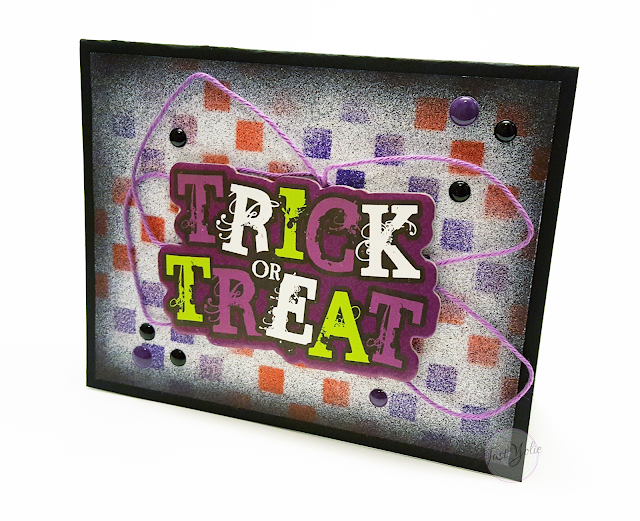 I then embellished with black and purple enamel dots. That's it, quick and easy Halloween card.